In order to make the detection of the mosquito-borne illness chikungunya more affordable and simple, a new diagnostic test kit has been developed internationally. The kit has been developed by the researchers at the University of Texas Medical Branch at Galveston in partnership with a commercial lab. As a part of the process to quickly detect the deadly chikungunya, which can cause severe, incapacitating and often chronic joint pain to the patient; the researchers used another mosquito-borne virus named Eilat virus, which is related to chikungunya and other mosquito-borne viruses. The team found that the virus replicates only in mosquitoes, which makes it harmless to humans and other vertebrates. “We started thinking that maybe there is something practical we can do with this unusual virus,” said one of the researchers, Scott Weaver. Researchers found that they could replace the structural proteins of the Eilat virus with those of chikungunya and create a virus that looks like it to the immune system but will not replicate in humans, Jesse Erasmus from UTMB pointed out. 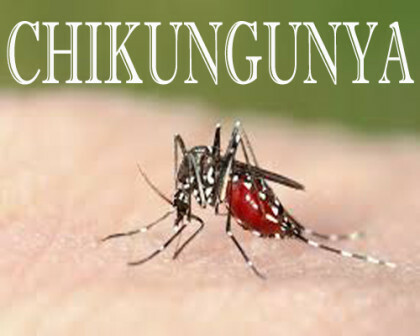 Most diagnostics available today use chikungunya virus that has been in-activated. That requires work in higher-level containment labs so these tests are more expensive to make and their sensitivity can be compromised by the inactivation, Erasmus explained. Working with the private commercial lab InBios International, the UTMB scientists used the Eilat virus to create a safe and simple-to-use diagnostic test. Healthcare professionals are able to take the serum of those suspected of being infected with chikungunya and using the new diagnostic test kit, have a result in less than two hours, Weaver said. Researchers described their discovery in a paper published in the journal PLOS Neglected Tropical Diseases.